CLICK HERE TO READ MY FULL REVIEW OF ‘ELYSIUM’!!! 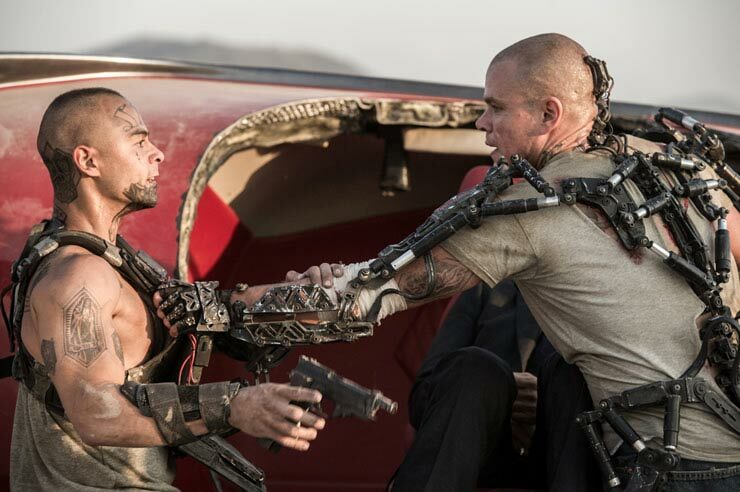 Besides a few decent fight scenes and some amazing special effects, ‘Elysium‘ loses interest fast and fails to be a fun and entertaining sci-fi film. Sure, we get Blomkamp is sending out a political message of free universal healthcare and the wrongs of a class system, but there are better ways to tell that story. This entry was posted on Friday, August 9th, 2013 at 9:49 am	and is filed under Film, News. You can follow any responses to this entry through the RSS 2.0 feed. You can skip to the end and leave a response. Pinging is currently not allowed.